Dining in Vorarlberg! 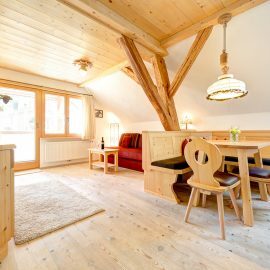 This 3-room apartment in the house Helga offers all the amenities for the perfect holiday in the Alps, as well as lived Austrian hospitality! 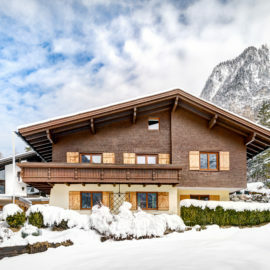 Haus Helga features flat-screen TV with satellite connection, a fully equipped kitchen, free Wi-Fi and a spa area (with steam bath, Finnish sauna and bio sauna). 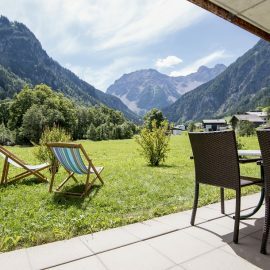 The 3 bedroom apartment also has two balconies, one of which is facing SW.
Start the day in a relaxed atmosphere: giving a meal in Vorarlberg! This means that every morning the fresh rolls are delivered directly to the apartment door by the Brandner master baker.